The underpinning reality is that our dedicated and loyal core staff of sales team, designers, cabinet makers and craftsmen are an integral part of the business, allowing the highest standard of dedication and workmanship be an integral part of our ethos. 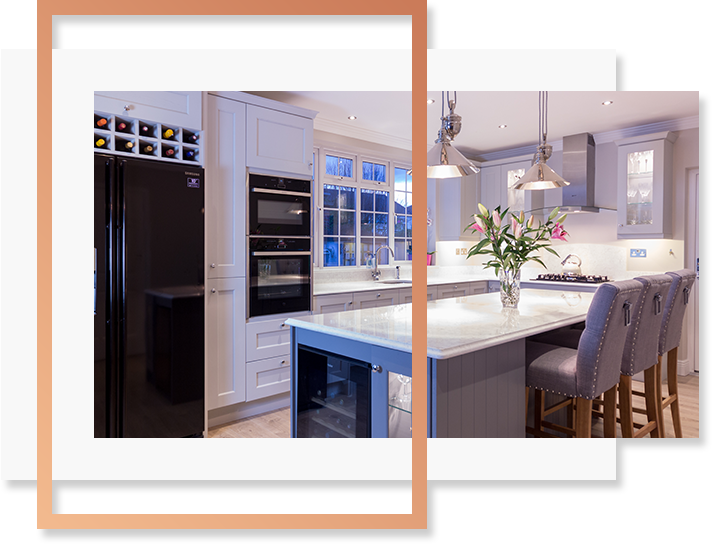 At Gallagher Kitchens, we take you the customer through every stage of obtaining your new kitchen / wardrobes from the initial planning and design to a satisfactory and exemplary end result. Visit one of our Showrooms to view our extensive range of kitchen displays. Consult with a member of our Sales Team to discuss your options based on available space and budget. Download our Kitchen Planner filling in the essential details, or bring along your own plans to facilitate in creating the design you want. Our dedicated Sales Person will be happy to advise and discuss your preferred kitchen style, layout, door choice, appliances and accessories. We will work with you to design your desired Kitchen /Wardrobe. Your visit to our Showroom and initial consultation will be followed by a visit to your home by one of our Sales team. Our kitchen planner will survey the area, confirming measurements and ensuring that layout and technical issues regarding electrical and plumbing needs are accurate. Your kitchen will be hand crafted in our factory, where the core of staff at Gallagher Kitchens have been with the Company for many years, the knowledge and expertise of our cabinet makers and machinists are second to none. Upon agreement of an installation date the kitchen will be delivered and installed by our experienced fitters. 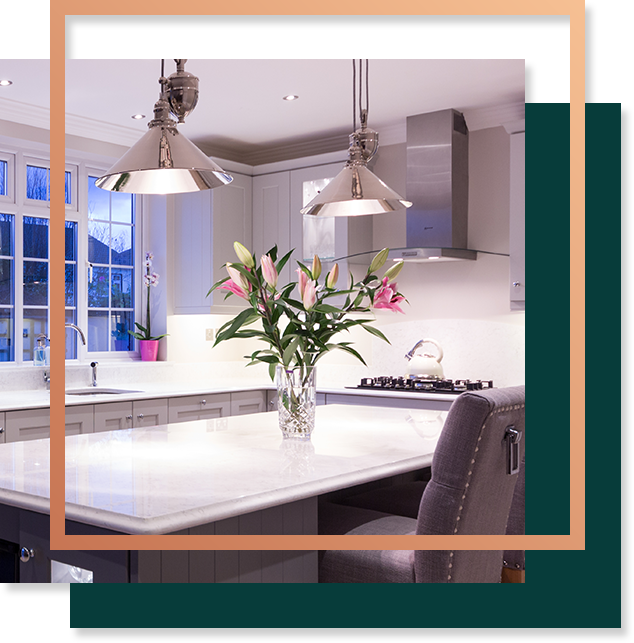 If a granite or quartz worktop has been chosen, a template for the worktop will be taken on completion of installation and usually fitted no later than 5-8 working days. Gallagher Kitchens prides itself on being available for follow-up consultations and service. Having been operating in the Lucan and surrounding areas since 1991 and now recently established in the Clondalkin area, you can be secure in the knowledge that we are in a position to provide an excellent follow-up service if required.